Cole and Savannah LaBrant, the same YouTube family that allegedly faked a wildfire evacuation for a vlog last summer, are drawing criticism once again after telling their six-year-old daughter Everleigh that they’re giving away her puppy, Carl, for an April Fool’s Day video. 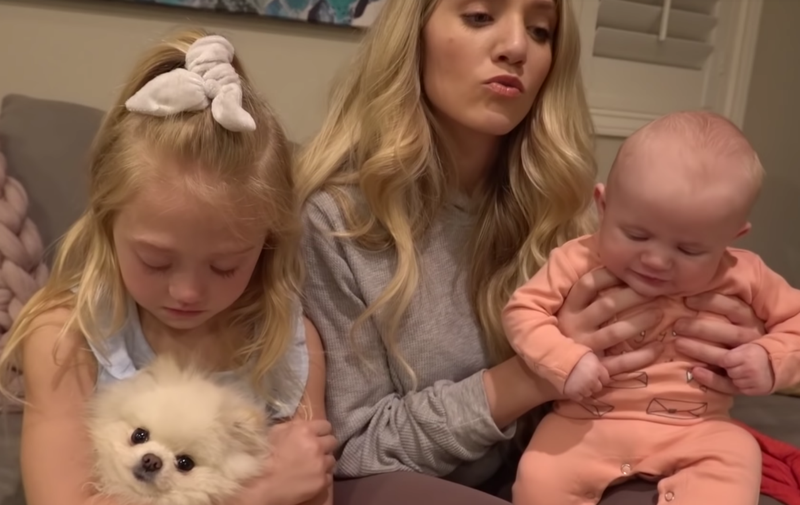 In an excruciating video—titled “We Have to Give Our Puppy Away... Saying Goodbye Forever :(”—the YouTubers explained the “bad news” to their viewers while Everleigh looked despondent. Sav explains that the family would be giving Carl away because they can no longer take good care of him. “Are you gonna miss him?” asks Cole. Everleigh nods and sniffles some more as Sav and Cole try to suppress their laughter. “We’re keeping Carl!” Cole and Sav exclaim. Everleigh bursts into tears while a grinning Cole—surprised that Everleigh fell for it—wonders if they went too far. The rest of the video tries to temper the puppy prank with a segment called “Everleigh’s Revenge,” in which Everleigh pranks Cole by putting mustard in his ice cream. This incident illuminates a dark side to family vlogging that goes beyond the LaBrant’s cloying attempts to monetize every single thing their young family does, and raises questions of whether stunts like these are ethical or, in some cases, outright illegal. In 2017 another YouTube couple, Heather and Michael Martin (DaddyofFive), received five years’ probation and lost custody of their children after police were alerted to their popular “prank videos” depicting behavior many considered abusive. In a more extreme example, an Arizona mother who ran a popular YouTube was arrested in March for abusing her seven children who starred in her videos. But these bad actors haven’t stopped family vlogging from being a lucrative industry, where parents attempt to make mundanity look alluring and millions are eager to watch them try week after week. While the LeBrants aren’t the only ones exploiting their minor children for profit and clout, they’ve simply managed to be some of the most obnoxious ones to do so. “All children want to please their parents,” says Harold Koplewicz, a psychiatrist and head of the Child Mind Institute, who adds that the DaddyOFive pranks were clearly abusive. “We trust the caretakers in our lives that they’re looking out for us. If they’re not, it makes us very anxious and uncomfortable.” As they grow into adolescence, he adds, kids need some privacy to be able to make mistakes, and they need parents who are their protectors, not their employers. Regardless, Cole and Sav’s 8.7 million YouTube subscribers really didn’t need to indulge in the emotional manipulation of their daughter, and making her cry on camera in exchange for clicks is, for lack of a better phrase, deeply fucked up. And on that note, free my man Carl.